Head into the unknown fully equipped with the Nax 2.0 by your side. 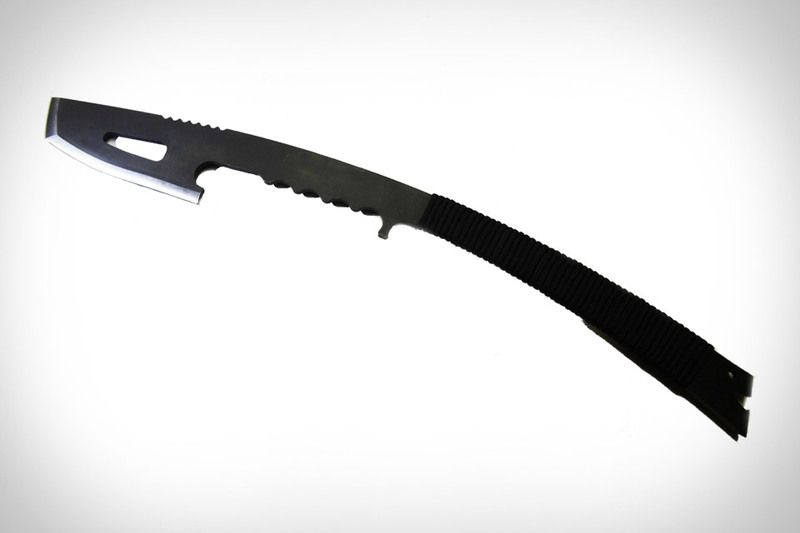 Designed in collaboration with special forces soldiers, preppers, and survival gear aficionados, this multi-tool for the forest/jungle combines the features of a kukri knife, machete, and hatchet into one easy-to-carry tool. Featuring a professional, zero ground edge, it's made from 4130 chromoly steel that's heat-treated to +48 HRC hardness, and also boasts a pommel with a pry and bottle opener, a built-in gas shut-off wrench, and a handle wrapped in 550 paracord — so you'll have a secure grip no matter what you're doing. If you haven't yet started preparing for a potential breakdown of society, don't worry — the Wolfram Survival Cabinet gives even the laziest among us a one-step way to go from woefully unprepared to ready for anything. The cabinet itself is double steel-walled, made in the USA, features dual locks, and comes in a handsome orange. But it's what's inside that's the real draw: over 170 items carefully selected to keep you safe and alive should all hell break loose. From water, food, and first-aid materials to tools, sanitation, and shelter needs, it's got your covered. Replace at least four grip-based tools with a single Crescent Switchblade Cutter. This handy tool uses a compound action design to deliver maximum leverage with minimum effort, and includes four separate blades: a straight cutting blade for ducting and siding, a cable cutting blade for wires and such, a standard plier head with its own wire cutter, and a multi-purpose blade that can cut rope, shingles, vinyl, and plastics, cut and bend wire, and, because no tool is complete without it, open bottles. Just throw it in the included holster and get to work. In case you haven't heard of them, iFixit are generally the first people to tear any new, popular gadget apart — all in the name of helping you fix yours should it break somewhere down the road. As you can imagine, that takes a pretty specific set of tools. And now you can keep them in your own office/garage/gadget emergency room with the iFixit Pro Tech Tool Kit. This all-in-one package packs 70 tools to help you care for/hack your electronics, including a 54-bit driver kit, opening tools, knives, rulers, tweezers, spudgers, and more, thankfully packed in a handy carrying case. Now all you need is a hair dryer. Trust us. Ideal for the guy with lots of gear, but not a lot of space, MyLifter gives you storage you never thought you had. This handy device is an app-connected electrical winch that lets you easily hoist just about any kind of gear — bikes, kayaks, canoes, crates, bags — up to the ceiling, getting them out of the way and freeing up your limited storage. Each winch is capable of lifting 50 pounds, but you can combine multiple ones together to double, triple, or quadruple that capacity. 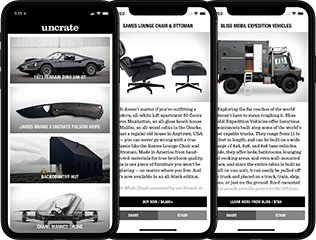 Best yet, they work in tandem and sync up with the included iOS app, so you can program in different heights, allowing you to automatically lift anything with ease.